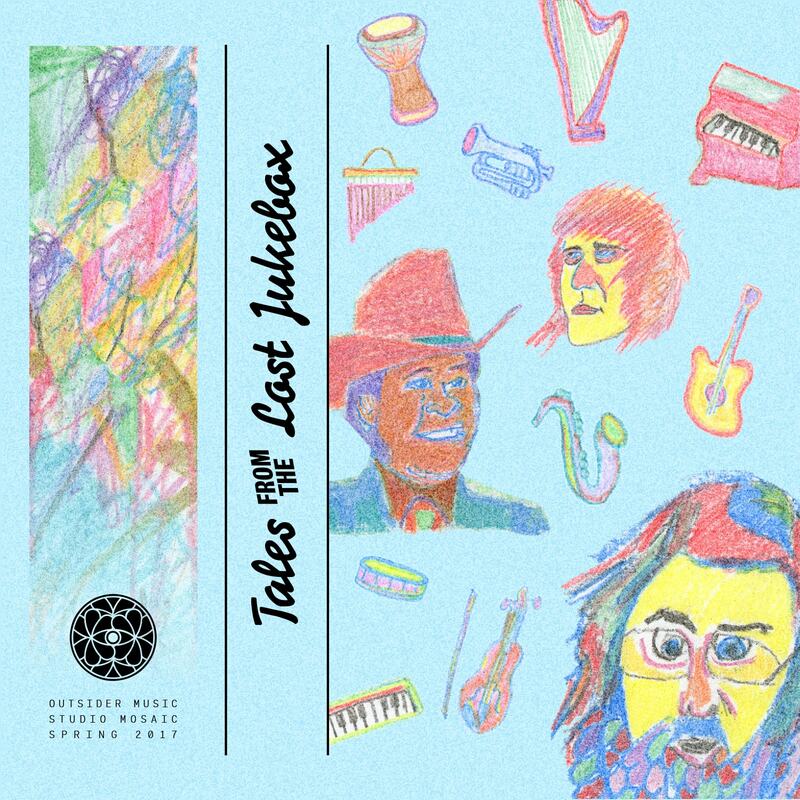 - R. Stevie Moore, "Hobbies Galore"
Tales From the Lost Jukebox is dedicated to the weirdos, the rejects, the loners, the outcasts, the not-quite-there, the outright bizarre and the absolutely lost. This mix explores a vast landscape across time, space, genre, culture, fame, and notoriety. These artists created amazingly unique work that either defines their canon or represents the outer boundaries of their artistic potential. Songs of heartbroken seclusion, indulgent funk, subversive hip-hop, and pure eccentricity immerse you in honest self-expression. These tracks stray away from conventional genres, contorting style, instrumentation, lyricism, melody and lack thereof into a more dynamic (albeit less digestible) piece of art. We don’t expect listeners to like, love, or comprehend every track and artist but instead appreciate the place of emotional authenticity from which it was born. Our intention was to avoid glorifying these artists as deliberate crusaders against popular music; rather we sought to appreciate their work for what it is. Many of the artists throughout possess fascinating yet fractured narratives. Ariel Pink, Brian Eno, Daniel Johnston, Captain Beefheart, Space Lady, David Lynch, Arthur Russell, Bob Dylan, and many others have each spurred their own cult status among various circles of avant-garde enthusiasts and music connoisseurs. Some portray a solo-flyer sort of persona, such as Dean Blunt toasting alone in spooky tones; and R. Stevie Moore, who continues to release DIY music at the prolific speed of a classical composer. Some regard these artists as geniuses of their craft, while others regard them as creators of meaningless noise and willful deviants of proper music. Whatever side you're on, there is no denying that this music dares to inhabit artistic space yet to be occupied and therefore expands music as a whole.